When you need a 3D rendering design and graphic designer in Texas, TX call on Capital Exhibits design and exhibit developer to meet all your needs. Rated a top graphic design company in business graphics, 3D design and trade show design, our team of contemporary graphic designers is here to meet all of your design outsourcing needs. 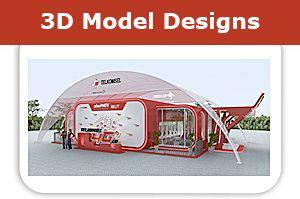 Are you looking for a 3D rendering design for a trade show booth concepts in the Houston, TX area? Do you need to design your tailgating team tee shirts in Dallas-Fort Worth? From San Antonio to Austin or El Paso, TX and everything in between, we can come up with the best graphic design ideas for you! At Capital Exhibits, we work with you to “Build your Best Image.” When you partner with us you are not just going to hire a graphic designer. You are going to collaborate with a branding design specialist to improve your overall brand recognition. Do you have an in-house media specialist but you are looking for the kind of curb appeal that only comes from professional graphic design firms? Let Capital Exhibits provide you with 3D design, graphic art design services, banner design artists, or brochure design work to take your image to the next level. Technology is quickly changing the way businesses interact with their clients and target audience. At Capital Exhibits, we are able to utilize our modern 3D rendering design and graphic designing studio to incorporate Quick Response codes to instantly connect your product to the tech savvy customer in a whole new format. With a QR code reader and a smartphone, potential customers can be directed immediately to a web page, published articles or contact information with ordering details. We offer a wide variety of trade show displays such as retractable banner stands, portable exhibits, pop ups, table top displays and almost anything else you can imagine. You can combine our exhibit displays with the graphic design images and advertising developed by our team of contemporary graphic designers for one-stop shopping services. 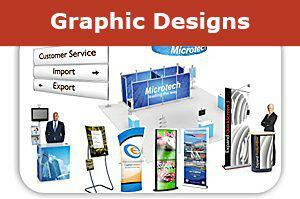 We will help you create your best trade show booth concept by guiding you through every step of the process. Want to Improve your ROI? Contact Us! We have affordable graphic design pricing – but we don’t offer cheap graphic design! In the many years we have been in business, we have always been focused solely on promoting the success of our clients. For graphic design quotes and rates, contact us today. Email us at [email protected] or speak with a professional immediately at 866-730-3746.